Woman's overnighter duffle. Going away for a weekend trip on business or pleasure? You need a large, strong bag to hold your outfits, shoes, and cosmetics. Carry this attractive dark blue with white dot trimmed in vegan saddle brown handles. 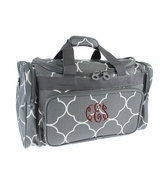 Our stunning duffle offers a modern, trendy, fun pattern with removable adjustable shoulder strap or carry handles. 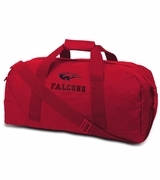 The duffle bag is made to grab-and-go. Matching companion pieces available search item WB-725CDOT accessory bag, or messenger style tote WB-M445CDOT. 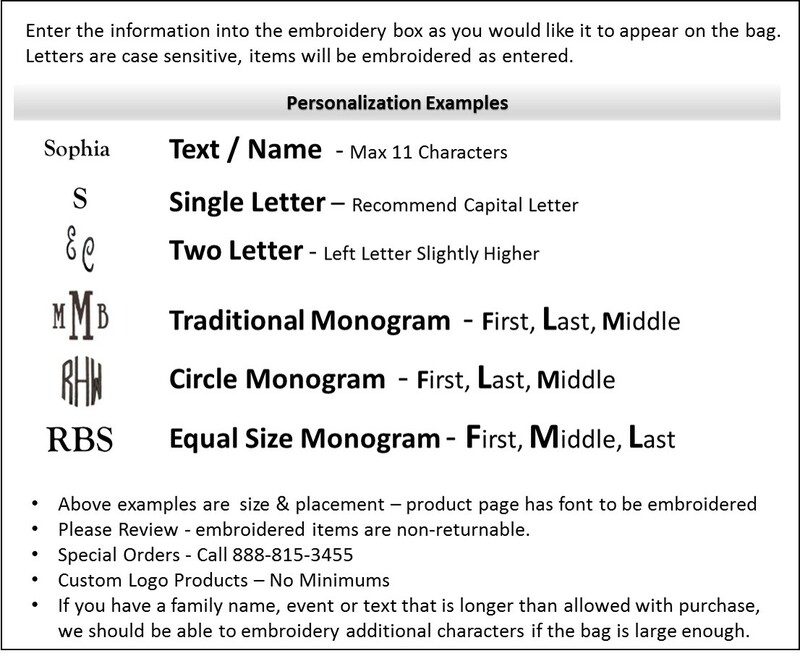 ACCENT MONOGRAM WILL BE PLACED NEAR THE TOP, APPROXIMATELY 1"H.
Women's overnighter duffel measures 21"W x 16"H x 10" across the bottom. Micro-fiber with one inside pocket and zipper closure.